In the final installment of his in-depth article, Paul Jackson, chairman of Triangle Management Services, brings us up to the modern day. To read part one, click here. To read part two, click here. By the mid-1980s, TNT was firing on all four cylinders and investing 18 % in Airborne, a US-based freight forwarder with an overnight US air network – seen at the time as a move of genius. However, Abeles was thwarted by US regulations against foreign ownership of airlines and a determined management who awarded themselves ludicrous “golden parachutes” – high-value termination contracts in the event of takeover. Airborne, with a lot of foresight, had bought Midwest Aviation which was moving overnight federal cheques via an old air force base in Wilmington, Ohio, which then became a major logistics centre. That has now closed, as DHL, which purchased Airborne, contracted its US operation, with a loss of 10,000 jobs. It did turn out to be an excellent investment for TNT, far better than Australian domestic airline Ansett, which eventually went bust. Airborne had 30 years of uninterrupted profit before it was purchased by Deutsche Post/DHL, and then saw such phenomenal losses that DHL recently found itself making a 10-year linehaul deal with arch rival UPS. Eventually, eight US overnight express or freight networks were to develop – soon there will be three, FedEx, UPS and Bax Global/Schenker, which remarkably survived when all else including Emery failed about them. DHL, now “worldwide”, reluctantly moved into dutiables (small air freight shipments), still via the excess baggage process, but this quickly filled up baggage halls with customs inspections, so a separate air network and eventually terminals had to be set up. Airlines and freight forwarders continued to “sit on their hands” while airlines built terminals for parcels/express services that didn’t work. BA repeated the mistake 20 years later by building a “lego” terminal that didn’t work. It is only now that IATA (the International Air Transport Association) has knocked enough heads together and has developed the electronic documentation that will lead to a more competitive product – far too late! By the mid-1980s, express had at last become a recognised mode, defined as “daily door-to-door”, controlled by information with very high reliability. In essence, the integrators were selling delivery which the customer wanted, and freight forwarders were selling despatch – with only confirmation of departure, and only managing by exception (when it didn’t arrive). Triangle was formed in1984 on the back of these new companies which, knowing nothing about freight, had this crazy idea of market research. The rest, as they say, is history. 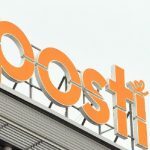 By 1991, some post offices (in Germany, the Netherlands, France, Canada and Sweden) eventually woke up – it had taken 20 years – to their loss of their parcel business and formed a 50/50 joint-venture with TNT. It didn’t work. Deutsche Post, under the dynamic leadership of Klaus Zumwinkel, with Japan Airlines went on to buy 50% of DHL. UPU (the Universal Postal Union) organised a fight back and set up EMS (Express Mail Services) network, which never really worked except intra-Asia. 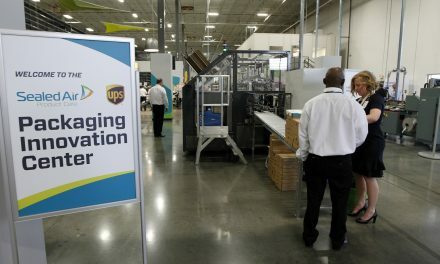 In the US, with UPS now in overnight air, FedEx went to ground, acquiring non-union ground parcel delivery operator RPS, and LTL operator Viking, from Roadway spin-off Caliber. UPS also acquired same-day courier Sonic, founded by Ray Thurston, who stayed with the deal to form UPS Logistics, eventually rounded out by the acquisition of Menlo, once known as Emery. In 1989, FedEx paid nearly $200m for a major international freight airline, Flying Tiger, mainly for its Asia traffic rights. Its business was, of course, only from freight forwarders so a period of “love hate” was pursued as forwarders reluctantly used FedEx. Forwarders gradually lost the smaller parcels, then the premium air freight, to FedEx, UPS and finally DHL as they all went more into air cargo. By this time, an average air freight shipment was reaching 350kg from 50kg in the 1970s, confirming the loss of the higher yield parcels to the integrators. In Europe, domestic parcel companies started to consolidate and merge, and various companies failed to adapt. United Carriers in the UK (with no express hub), the previous market leader, collapsed. While UPS started to “buy Europe”, Deutsche Post also went on a spending spree to buy domestic parcel companies, including Securicor in the UK. 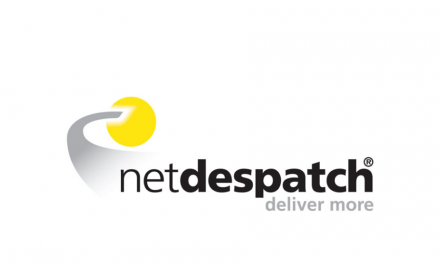 Supported by a dominant position in the German mail market, Deutsche Post also bought across the whole supply chain, in the belief that synergies existed in networks and that customers wanted a “one-stop shop”. group). Using the top brand name for documents and express, DHL was kept across the whole portfolio… a brave decision. Meanwhile, the UK’s Royal Mail, leaving the UK arm overmanned and uncompetitive, also went on an international buying spree (mail and parcels) and purchased GLS, a successful consortia, mainly of freight forwarders in Germany and other European countries. It later abandoned this international mail strategy with big write-offs, leaving GLS to become very profitable, albeit only as a regional player in Europe. Parcelforce, part of Royal Mail (GLS’s partner) in the UK, after 20 years of losses and the UK government failing to sell it, eventually under MD Vanessa Leeson did the obvious and cut back the business and network to get into profit. Meanwhile France’s La Poste surprisingly bought DPD in Germany, and then Interlink and Parceline in the UK. TNT Worldwide, by now overstretched and almost bankrupt, was rescued by the Dutch Post Office in 1993. It had set up an air hub in Cologne with the wrong aircraft. Ad Scheepbouwer, a former AEI director, boldly trimmed TNT back to its core competence, express, but started to buy into logistics (the one-stop shop again). Under new management TNT bought the wrong freight forwarding company (roots in Scandinavia rather than the US), only to fail to integrate the business and sell (at a profit). A long-term strategic mistake made worse by the sale of the logistics side. TNT is now two distinct businesses (mail and express) with no synergy or joint customers. DHL has recently accepted that the one stop shop is not working and is now on a drive for the bottom line rather than “rule the world” which has led to abandonment of loss making domestic parcels in the UK and no doubt others to follow. It’s easy to talk about the past with hindsight, but what of the future? Airlines have eventually developed an integrated information product for freight forwarders, 20 years too late, which may beat the high-cost integrator model, especially as forwarders will use high frequency low-cost direct passenger services. If express is business-class, how long can this declining part of the aircraft mix with economy freight last for all-cargo aircraft, especially as the cost of fuel continues to rise? The real growth to come is in time-definite three to four-day international services, not next-day. The other area for growth is mission critical express/logistics where people are more important than the process therefore able to survive with high margins. The Market leader Marken was recently sold to a private equity group for a phenomenal amount having been sold by Deutsche Post in 2005 for a much smaller some. One can see less integrator aircraft flying in the future and more use of by-product low-cost passenger space, even more passenger flights at the express schedule – passengers as a byproduct. Coming down the track is a big problem for the integrators: the growth of the internet. Of course, it depends who you listen to. 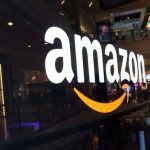 McKinsey reckons that 50% of retail sales will be via the internet by 2050, but there is certainly a rapidly growing business-to-consumer (B2C) market, which the established business-to-business (B2B) parcel/express carriers are losing to, rather ironically, the postal networks, which are, of course, the most economical, delivering the final mile. A lot of water has yet to go under the bridge, but it is clear that the B2B carriers need to address this sector with imagination. 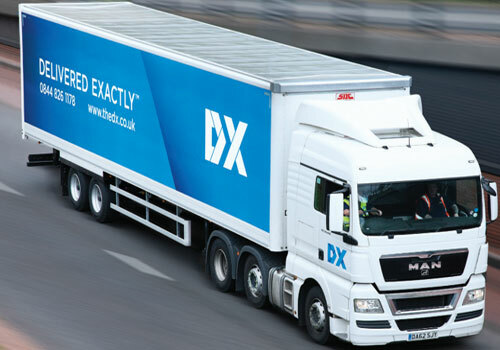 The jury is out whether B2B can mix with B2C, Home Delivery Network the UK market leader for B2C has recently acquired DHL’s domestic parcels so watch this space?! 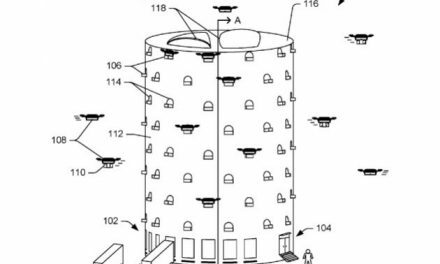 One answer could be the development of drop-boxes, which are bit like station left-luggage lockers, which could be located near the internet customers’ journey. What is needed is an industry approach not unlike the ATMs for the banks, which at the start jealously protected their exclusivity, only to discover that together they were stronger and now share facilities for the customer and the market as a whole. 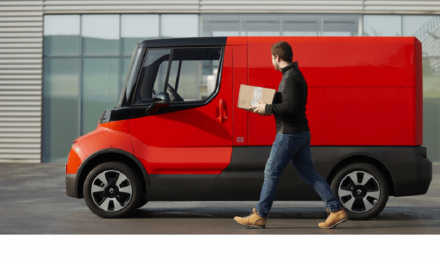 Fifty per cent of parcels could be delivered by the B2B carriers and integrators this way by 2050. 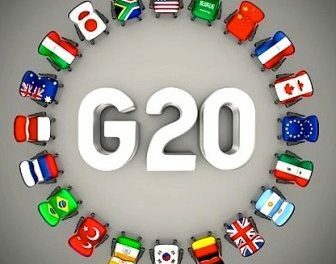 As more and more goods are not produced in the continent of consumption, domestic parcel companies without international links, especially for imports, will struggle to compete. They will become local inventory support organisations, and very vulnerable to the global forwarder more than the integrator. A regional integrator like TNT and European parcel networks like DPD and GLS are very vulnerable. They need to purchase or merge with major global forwarders as soon as possible. Express companies with higher costs of fuel will cut back (fewer hubs) use passenger services and may even set up passenger airline divisions. It will not be long before they get into high-speed ocean-going vessels. European pallet networks will thrive as companies centralise warehousing and virtual supply chains grow. They also need urgently to link to the source of the goods production. As internet sales grow, the need for warehousing, and even an agent in the consumption country, will disappear. People will buy from the screen in front of them and will specify, from options, the time/days of delivery. They will have no idea, or care, where they are buying from – it’s the internet. So has the rise and rise of the integrator been a good thing? Certainly for world trade and the customer, yes, but is it just a concept that had to come along to wake the traditional freight carriers and Post Offices up? Can they, with their cheaper business models, integrate themselves and compete on service? I very much doubt it, unless Microsoft, Oracle or SAP come “over the hill” and integrate information for them. The forwarder that keeps close to the customer will always survive, because the integrator is fine as long as you use their system. Not everyone wants to deal with a computer! The dark horses are the newcomers, like Pitney Bowes and the Post Offices who are coming to the B2C battlefield from the envelope to the small parcel. Will they be the e-commerce global integrators of the future? 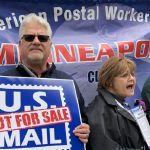 Should UPS and FedEx buy Post Offices? Could one buy TNT Express? One cannot reflect on this exciting and very new industry without mentioning some of those pioneers that are no longer with us. They had vision and the encouragement to take on the status quo. The world is a better place and more efficient because of them – thank you Sir Peter Abeles, Gordon Barton, Clive Bourne, Bertie Coxall and Larry Hillbloom. Post&Parcel thanks Paul Jackson, and acknowledges the assistance of: Ian Sayer, Barry Hansen and John Callan. Paul Jackson started his career with BOAC, became its youngest ever senior manager and then ran AEI Air Express International UK. At 33, he joined Unilever Transport. When the Unilever disinvested its transport activities, he set up Triangle in 1984. He is now semi-retired, but holds some non-executive directorships.